Sayer card is a way to facilitate your travel around Sharjah. It enables the passengers to pay tickets electronically on Mowasalat busses. This technology can save your precious time whenever you travel by bus. 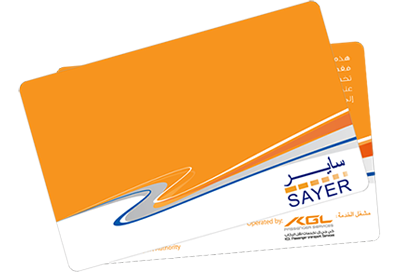 Present your SAYER card on a Ticket machine in Mowasalat bus. Please keep the SAYER ticket receipt till the end of journey for the inspection purpose.